Jubal Anderson Early (November 3, 1816 – March 2, 1894) was a lawyer and Confederate general in the American Civil War. Early was trusted and supported by the commander of the Army of Northern Virginia, Robert E. Lee. Lee affectionately referred to Early as his "Bad Old Man" because of an irascible demeanor and short temper, but appreciated Early's aggressive fighting and ability to command units independently. Most of Early's soldiers referred to him as "Old Jube" or "Old Jubilee" with enthusiasm and affection. His subordinate generals shared little of this affection. Early was a known fault-finder and often gave biting criticisms to his subordinates at the least opportunity. Early was usually blind to his own mistakes and reacted fiercely to criticism or suggestions from below. These conflicting personality traits caused Early much criticism by some historians after the American Civil War claiming among other things that Early's late arrival at Gettysburg was decisive in assisting the Union victory. Later studies show this to be largely untrue. Early's actions contributed much to the Confederacy effort. Early was born in Franklin County, Virginia, and graduated from the United States Military Academy in 1837. He fought against the Seminole in Florida as a second lieutenant in the 3rd U.S. Artillery regiment before resigning from the army for the first time in 1838. He practiced law in the 1840s as a prosecutor for both Franklin and Floyd Counties in Virginia. He was noted for a case in Mississippi, where he beat the top lawyers in the state. His law practice was interrupted by the Mexican-American War from 1846–1848. He was a delegate in the Virginia General Assembly. Early was a Whig and strongly opposed secession at the April 1860 Virginia convention. However, he was soon aroused by the aggressive movements of the Federal government (President Abraham Lincoln's call for 75,000 volunteers to suppress the rebellion) and accepted a commission in the Virginia Militia. 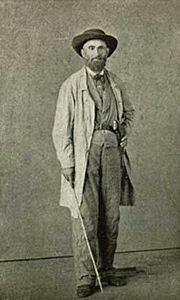 He was sent to Lynchburg, Virginia to raise three regiments and then commanded one of them, the 24th Virginia Infantry, as a colonel in the Confederate States Army. Early was promoted to brigadier general after the First Battle of Bull Run (or First Manassas) in July 1861. In that battle, he displayed valor at Blackburn's Ford and impressed General P. G. T. Beauregard. He fought in most of the major battles in the eastern theater, including the Seven Days Battles, Second Bull Run, Antietam, Fredericksburg, Chancellorsville, Gettysburg, and numerous battles in the Shenandoah Valley. During the Gettysburg Campaign, Early's Division occupied York, Pennsylvania, the largest Northern town to fall to the Confederacy during the war. A trusted and supported field officer, Robert E. Lee affectionately referred to Early as his "Bad Old Man." This sobriquet was earned by Early because of his irascible demeanor and short temper. But Early's aggressive fighting and ability to command units independently earned him Lee's trust. Most of Early's soldiers referred to him as "Old Jube" or "Old Jubilee" with enthusiasm and affection. His subordinate officers however did not share this reverence. They often felt little of his affection. Early was known as a fault-finder who offered biting criticism at the least opportunity. Early tended toward blindness to his own mistakes and reacted fiercely to criticism or suggestions of such from below. Early was wounded at Williamsburg in 1862, while leading a charge against staggering odds. He convalesced in Rocky Mount, Virginia, and returned in two months, under the command of Major General Thomas J. "Stonewall" Jackson, in time for Malvern Hill. There, Early demonstrated his career-long lack of aptitude for battlefield navigation and his brigade was lost in the woods; it suffered 33 casualties without any significant action. In the Second Manassas campaign, Early was noted for his performance at the Battle of Cedar Mountain and arrived in the nick of time to reinforce A.P. Hill on Jackson's left on Stony Ridge. At Antietam, Early ascended to division command when his commander, Alexander Lawton, was wounded. Lee was impressed with his performance and retained him at that level. At Fredericksburg, Early saved the day by counterattacking the division of George G. Meade, which penetrated a gap in Jackson's lines. He was promoted to major general on January 17, 1863. At Chancellorsville, Lee gave him a force of 5,000 men to defend Fredericksburg at Marye's Heights against superior forces (two corps) under Maj. Gen. John Sedgwick. Early was able to delay the Union forces and pin down Sedgwick while Lee and Jackson attacked the remainder of the Union troops to the west. Sedgwick's eventual attack on Early up Marye's Heights is sometimes known as the Second Battle of Fredericksburg. During the Gettysburg Campaign, Early commanded a division in the corps of Richard S. Ewell. His troops were instrumental in defeating Union defenders at Winchester, capturing a number of prisoners, and opening up the Shenandoah Valley for Lee's oncoming forces. Early's division, augmented with cavalry, eventually marched eastward across the South Mountain range in Pennsylvania, seizing vital supplies and horses along the way. He captured Gettysburg on June 26 and demanded a ransom, which was never paid. Two days later, he entered York County and seized York, the largest Northern town to fall to the Confederates during the war. Here, his ransom demands were partially met, including a payment of $28,000 in cash. Elements of Early's command on June 28 reached the Susquehanna River, the farthest east in Pennsylvania that any organized Confederate force would penetrate. On June 30, Early was recalled as Lee concentrated his army to meet the oncoming Federals. Approaching Gettysburg from the northeast on July 1, 1863, Early's division was on the leftmost flank of the Confederate line. He soundly defeated Francis Barlow's division (part of the Union XI Corps), inflicting three times the casualties to the defenders as he suffered, and drove the Union troops back through the streets of town, capturing many of them. In the second day at Gettysburg, he assaulted East Cemetery Hill as part of Ewell's efforts on the Union right flank. Despite initial success, Union reinforcements arrived to repulse Early's two brigades. On the third day, Early detached one brigade to assist Edward "Allegheny" Johnson's division in an unsuccessful assault on Culp's Hill. Elements of Early's division covered the rear of Lee's army during its withdrawal from Gettysburg on July 4 and July 5. Early served in the Shenandoah Valley over the winter of 1863–1864. During this period, he occasionally filled in as corps commander during Ewell's absences for illness. On May 31, 1864, Lee expressed his confidence in Early's initiative and abilities at higher command levels, promoting him to the temporary rank of lieutenant general. Early's most important service was that summer and fall, in the Valley Campaigns of 1864, when he commanded the Confederacy's last invasions of the North. As Confederate territory was rapidly being captured by the Union armies of Grant and William Tecumseh Sherman, Lee sent Early's corps to sweep Union forces from the Shenandoah Valley and to menace Washington, D.C., hoping to compel Grant to dilute his forces against Lee around Petersburg, Virginia. Early defeated several Union armies, including at Monocacy, where Union General Lew Wallace had only 5,800 men defending against Early's 15,000. Although Early won, the battle cost him a day's delay and Washington had time to reinforce. This invasion caused considerable panic in the North and Early was able to get close to the outskirts of Washington. He sent his cavalry to the west side of Washington, while his infantry attacked Fort Stevens. Abraham Lincoln watched the assault, the only sitting president to come under hostile military fire. As Early withdrew, he said to one of his officers, "Major, we haven't taken Washington, but we scared Abe Lincoln like hell." Grant, losing patience and realizing Early could attack Washington any time he pleased, dealt with the threat by sending out an army under Maj. Gen. Philip Sheridan. At times outnumbering the Confederates three to one, Sheridan defeated Early in three battles starting in early August and laid waste to much of the agricultural properties in the Valley, denying their use as supplies for Lee's army. In a brilliant surprise attack, Early routed two thirds of the Union army at the Battle of Cedar Creek on October 19, 1864, but his troops were hungry and exhausted and fell out of their ranks to pillage the Union camp; Sheridan managed to rally his troops and defeat Early decisively. Early fled when the Army of Northern Virginia surrendered on April 9, 1865. He rode horseback to Texas, hoping to find a Confederate force still holding out, then proceeded to Mexico, and from there, sailed to Cuba and Canada. Living in Toronto, he wrote his memoirs, A Memoir of the Last Year of the War for Independence, in the Confederate States of America, which focused on his Valley Campaign. They were published in 1867. He returned to Virginia in 1869, resuming the practice of law. He was pardoned in 1868 by President Andrew Johnson, but still remained an unreconstructed rebel. 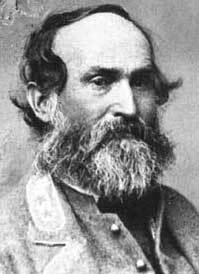 He was among the most vocal of those who promoted a bitter Lost Cause movement and who vilified the actions of Lt. Gen. James Longstreet at Gettysburg. He was involved with the Louisiana Lottery along with retired General P.G.T. Beauregard. Honest and outspoken, honorable and uncompromising, Jubal A. Early epitomized much that was the Southern Confederacy. His self-reliance, courage, sagacity, and devotion to the cause brought confidence then just as it inspires reverence now. History of "Jubal Anderson Early"
This page was last modified on 12 June 2018, at 15:16.